Tourist tax € 1.60 per person over 16 years. It grants you free access to the bus and rail lines in the province Konstanz during your stay. Please note, Dogs are forbidden in the beach, in the water and on the tent meadow! 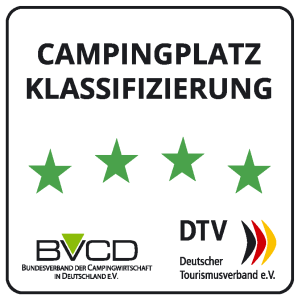 Please note that the camping is a car-free area. You can park your car just outside the campsite. Our reception is open every day from at least 9.30 am to 12.30 pm and from 2.30 to 6 pm.